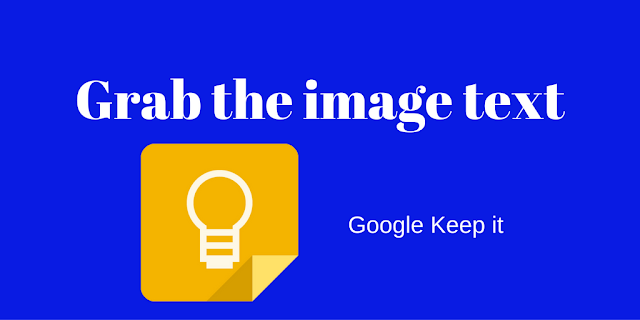 .Following my post about Google Keep here’s a reminder of two useful Google Drive functions. 1. Text can be extracted from images in your Google Drive using right click to Open with Google Docs. 2. Upload a PDF, right click to Open with Google Docs to extract the text. Google provides these tips to obtain the best results. Resolution: Text should be at least 10 pixels in height. Languages, fonts, and character sets: Google Drive will detect the language of the document. You'll get better results if your image includes common fonts such as Arial or Times New Roman. Image quality: Sharp images with even lighting and clear contrasts work best. Blurry photos will decrease the quality of the text. File size: The maximum size for images and PDF files is 2 MB. There are plenty of add-ons for Google Docs and Sheets. These provide extra functions. Two of my favourites in Docs are Change Case and Easy Accents seen listed here in the Add-ons menu in Google Docs. Simply choose Get add-ons to explore the wide range available. The Power Tools Add-on for Google Sheets adds a myriad of functions under each heading: Remove, Clear, Text, Split, Functions, Data and Convert. Do you have favourite Add-ons in Google Docs and Sheets? Remember that photo you took of a sign, newspaper article, page from a book? Do you need the text to insert into a document or email? Google Keep to the rescue. 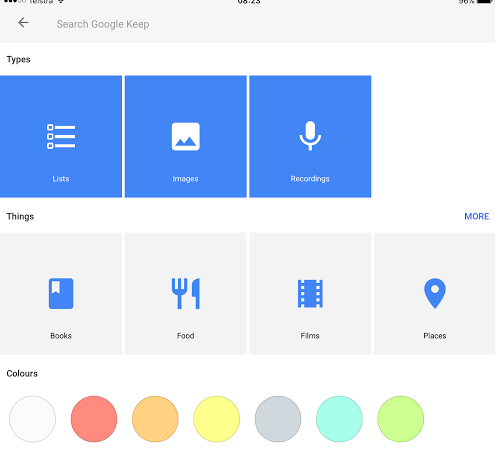 Keep is a note taking tool available for tablets, phones and on desktop computers. Once you are logged in to your Google account, it will synchronise your notes across all your devices. On a recent trip I took lots of photos of newspaper death and funeral notices for recently deceased relatives. 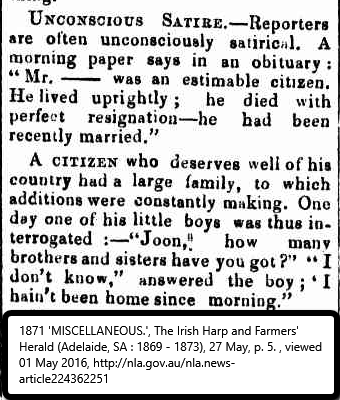 These recent newspapers are not available on line and I wanted to add the text to my family history database. I like to look for shortcuts to do these types of things. If I don’t need to type it all word for word, but only need to make a few corrections, that’s a bonus for me. Here’s the process to get the text to copy and paste using a photo of an information board that I took at a scenic outlook. Open Keep on your phone, tablet or computer. Choose the image icon on the right. Once your choice has been made and the image has uploaded, click/tap on the newly created Note to open it. Choose the three dots More Menu, located bottom right side, then Grab Image Text. The image text will appear immediately below the image. Check for corrections and adjust any line breaks needed. Now the text is ready to copy and paste to your destination. Other options at the bottom of the note are for choosing the colour of the note, picking a date and time, selecting a place, sending via share options. The menu options vary depending on the device you are using. If you have not used Google Keep yet, here’s a quick 3 min introduction video to get you started. How to use Google Keep. Use the powerful search options within Keep to search notes by place, colour, image, text and more. How do you quickly extract text from images? Mouse, trackpad, touchpad....whatever you use there are a range of options to assist your input and control on the screen. Head to Settings> Devices>Mouse and Touchpad to investigate the options for your preferred input. There you will find details of how the mouse/touchpad reacts to certain gestures. In Windows 10 choose Additional mouse options to find the settings for both the mouse and your touchpad device. Do you like to zoom in to the page you are viewing to enlarge the text or view the details in a photo? On the touchpad place two fingers close together and pinch out to enlarge. Want to return to the normal view, pinch back in. Find out which two and three finger gestures are enabled on your touchpad. A single tap is equivalent to a left click mouse action. If the touchpad on your laptop does not have a right and left click button, explore the settings to determine the right click options. I've come across laptop users who complain the touchpad interferes with their typing. In Windows 10 the touchpad can be disabled in Device settings. Windows 8 and 10 users will find two finger scrolling, three finger swipe down to minimise all open windows and the reverse action to display them again are useful additions. A certain person who shall remain nameless, drew my attention to the offer of a free trial of a particular upmarket brand hairdryer. As my 35 year old model had recently expired, I made the mistake of signing up and then realising one had to express an interest in some other products. I scrolled my way through the multiple offers, no I did not want x, y or even z. In fact I think there were close to thirty offers I declined. At this stage I opted out of confirming any further details. Aha, it was too late, I had filled in email and mobile on the previous screen. Luckily I have gmail and within 3 days it had rejected 42 spurious offers as spam. Then my mobile started to ring. Unrecognised numbers. More spam. After a couple of false starts I answered without speaking, yes these computer generated dialling robots simply hang up if there is no verbal response. After burrowing around in my mobile's settings I found where to block the numbers. So far there are eight numbers I've had to block. Lesson learned after all these years on the net, if the offer looks to good to be true then it probably is!. 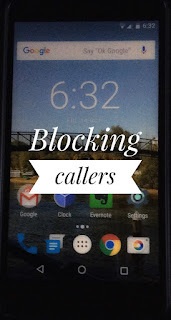 Choose Call blocking, Add number and touch and hold down to paste. Blocked numbers may still be able to leave voicemail, but generally nuisance callers desist when they receive no verbal response. Positive outcome: So many times I miss calls on my phone by not answering within the 15 seconds allocated by the Telstra. This constant ringing of my phone made me resolve to pursue the issue, now I have a full 30 seconds before the call switches to voicemail. Choose your telco for instructions on how to add ring time to your mobile before it diverts to a message bank or voicemail. On a recent trip to South Australia, I acquired 319 new digital items to be filed and named. Many of these are scanned photos, images captured from newspapers, photocopied documents, and photographed family memorabilia. What a bonus for a budding family historian to have acquired so much in a short period but how will I process and organise all this information? On looking at my file naming practice I spotted many errors had crept into my system over the past three years. 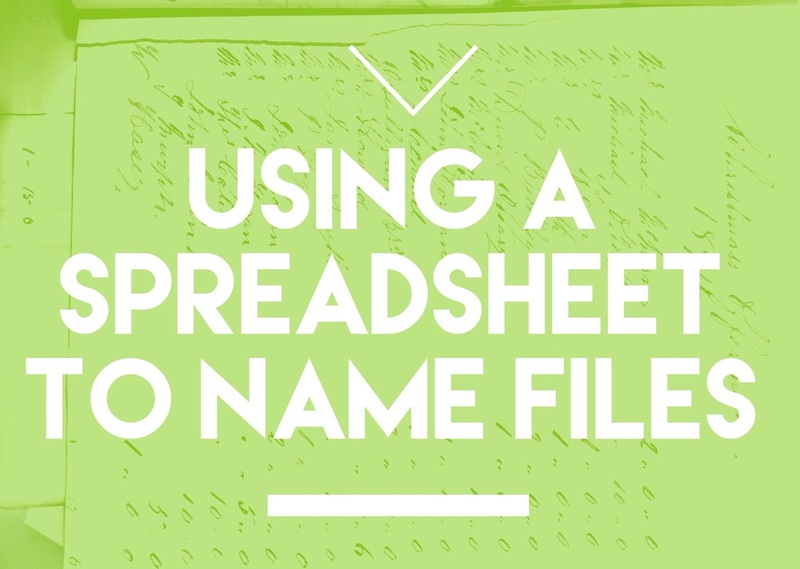 This time, I was determined to stay consistent by using Excel to generate file names. Spreadsheets have a function useful for this purpose: Concatenate. This simply means that all the information entered into a series of cells will be combined together into one cell. Why use this for file naming? The column headings on the spreadsheet prompt me to enter the different types of information; names, dates, places, and events. Basically, it is a guide to answering questions about files. When did it happen or when was it generated? So my spreadsheet column headings reflect the type of information I wish to record. Any cell can be left blank if the type of information in that column is not relevant to the file to be named. In the column where I want the file name compiled, in this case, I3, I added the formula =CONCATENATE(A3,B3,C3,D3,E3,F3,G3,H3) to join together or combine the information from the cells in columns A to H. This creates my completed file name. Next , I used the fill handle, (drag down from the bottom right-hand corner of cell I3) to copy the formula down into all the cells in column I. Now any information I add in new rows will automatically be compiled in Column I.
I’ve added an underscore in column E to separate the numbers where there are two dates, simply for ease of reading. I’ve used fill down so that I don’t need to type that underscore every time. The second tab on my spreadsheet replicates the formula for photographs, not all of which are related to family history pursuits. The reminder headings may be interpreted differently as the name column may be used to describe the contents of the photo. By keeping the sheets separate I will be able to sort the data in different ways. I’ve added a Column J which contains a link to the file on my computer. This link is inserted once the file has been renamed using this system. Now I need to get back to sorting and naming all those files. This post on GFC Learn Free explains the concatenate function. There are many excellent Excel tutorials on YouTube. 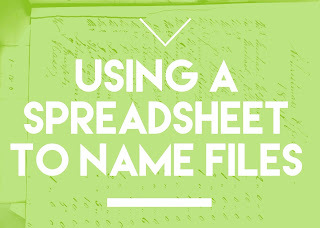 Google Sheets or Open Office users will find this function can be replicated in those spreadsheet programs. This last week has provided me with plenty of opportunities to pause and appreciate life in all its variations. A visit to a local doctor supplied me with the means to get better from a nasty bug, good medicine and great care from the local surgery. Its National Family History Month in Australia and on Thursday last I had the opportunity to present a session about online resources. The venue was the local Noosaville library and despite my misgivings, the attendees provided generous positive feedback. Here's the presentation and the handout. On Saturday I participated in an ASG (Australian Sewing Guild) Suncoast Regional Day put together by three local sewing groups. Good food, genial company and learning opportunities abounded. Fabulous textile art was displayed and free motion embroidery was demonstrated by the talented Jan Hutchison. Martyn Smith presented a range of professional tips and trade secrets designed to improve our sewing skills. I presented a session on Digital skills for sewing enthusiasts which included suggestions for using Evernote for sewing enthusiasts. The accompanying handout includes a link to this shared Evernote notebook. An unexpected communication from a sibling who has followed through a suggestion I made last year about writing up some of her childhood memories has given me great pleasure. I am in the midst of preparing for a trip to visit my siblings later this month and along with enjoying their company, I hope to snaffle many family memories and photos. For book club this month our group has been reading The Dalai Lama’s Cat by David Michie. This is a gentle, delightful read with words of wisdom on every page. I’m sure this Thursday’s group discussion when we meet for morning tea will be enlightening. The author has kindly reproduced the prologue and first chapter free online, enjoy. This morning I’ve visited the local library again where my sewing and book club friend Stephanie, has mounted a display of her creative work. Amongst other things, she is the author of Noosa’s Native Plants. Her photography and computer mastery skills have produced some amazing works. Not content with pictorial display she has uploaded her photographic artworks to Spoonflower where they are printed on to fabric. Taking that one more step she has then created some beautiful tea towels and bags of every shape and description. Her works display not only her prodigious talent but are designed to promote the importance and beauty of the native flora of the region. Enjoy some of her work shown below. Time for a little light entertainment - Correction time! 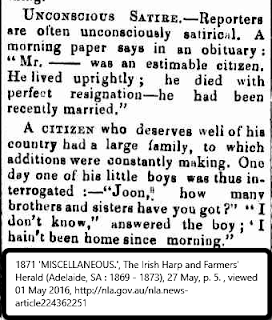 The Trove digitised newspaper zone provides wonderful detail about past lives and times for family historians. It also provides plenty of entertainment through the OCR (optical character recognition) rendition of those pages. The image above is the best one I’ve come across this week, no comments about the substitute of bums for births! It has now been corrected to Births. Common OCR renditions for son of that I have seen include: sod of, sob of, eon of, soil of – all of which could be applicable at some stage of life no doubt. Then there was the son-in-law listed as the scam-in-law. Weddings too provide fertile ground for much mirth. on arrival at Sort Adelaide – well I guess they did get ‘sorted’ before leaving the Port. Where else could you find advertisements for Rustless Corsets? What have you seen while searching Trove to cause a smile? Funeral notices – There are times when names are not indexed from Funeral notices. This may be for several reasons but I have often found the Funeral Notices buried within an Advertisements page. Sometimes there may be no separate heading and they do not appear in the Family Notices section of some newspapers. It is often possible to find a funeral notice by scanning the rest of the pages in the paper where the death notice was located. If the death notice was published several days or a week after the death it is worth looking for the funeral notices in the papers just a day or two after the death. How much did my ancestor earn? I wondered what a "thorough servant" could be. 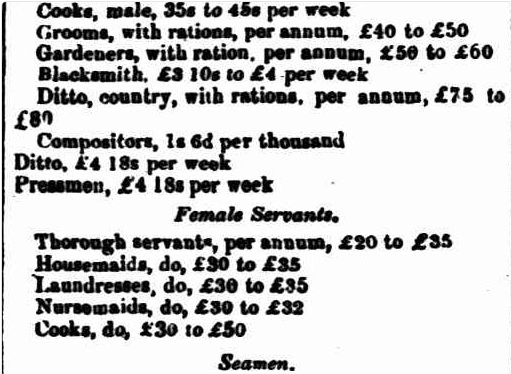 "to do everything in its proper time; to keep everything to its proper use; and to put everything in its proper place"
I think my family history endeavours could benefit from the application of those principles. Thanks to the visionaries at the NLA who developed and continue to enhance Trove. OCR is amazing technology but all users can help improve Trove. Search on, text correct and many will benefit. There are endless sites for pursuing hobbies online. If sewing is your hobby here are a few tips that may help you refine your searches, and save and organise those found sites. This presentation was prepared for the 30th April 2016 meeting of the Australian Sewing Guild local neighbourhood group the Guilded Lilies of Tewantin/Noosa. Meetings are held on the last Saturday of the month from 9 am - 3 pm. We share our sewing skills and knowledge and enjoy sewing in the company of friends. To my sewing colleagues: to view the slide show again, click/tap on the right facing arrow. To view full screen, click/tap on the 4 arrow expand symbol or on a mobile device just double tap. Enjoy! This is the last post in the A to Z challenge for 2016 where over 1300 bloggers have posted each day in April. Zero in on these posts for some excellent reading. Today I have the last two apps in my Apps in April series, both from the same company. This is the app to get if your library loans emagazines through Zinio. 1.. Locate Zinio on your library’s website. 2. Sign up with your library membership details through the library site. 3. Browse and choose magazines of interest. Each library will have a different collection. 4. Download the Zinio for Libraries app for iOS or Android and sign in with the password you created on your library site. 5. Refresh the library and the magazines you chose are ready to be downloaded to your device. Enjoy! This is the app to get if you wish to pay a subscription for a magazine which is not available through your library’s site. For example my library does not have Inside History but it is available for subscription through Zinio. Sign up to Zinio with your own details, not those of your library membership to browse thousands of magazines available through paid subscription. Some magazines offer a free download as a trial before you need to pay. Over 5000 magazines available. App for iOS and Android. Now it’s time for me to get some zzz..sss after a tiring month of keeping up the daily posts. I do hope you’ve found at least one, new to you app. Yes we all know YouTube but do we get the best from it on our mobile devices? Were you aware there are four separate mobile apps relating to YouTube? Use a free Google account to log in to YouTube. With an account you can subscribe to channels and get notifications of new videos matching your interests. If you are a video creator, upload to your own channel to share with others. View the videos by the creator by tapping their user name if you like what they offer subscribe. Subscribe to your favourite channels Notifications of their latest uploads will appear under the folder icon. Share via Google+.. Twitter, Facebook, email, message or copy link. Depending on your device and the apps you have installed there may be a much wider variety of options available. A YouTube dashboard for those with their own channel. Manage your channel, view analytics by numbers, viewers, audience. Filter and respond to comments. Manage playlists. if you have little ones using your mobile device this is the app for them. Divided into 4 simple categories Shows, Music, Learning and Explore the app features big buttons and easy scrolling. Parental controls are included so timing and content may be modified. Search can also be disabled. Available for iOS and Android. No app is perfect but this provides some control over children’s screen viewing. Essential for travellers this currency rate converter stores the last known rates so is useful even when internet access is not available. Put your home currency at the top and then add the currencies of the countries you will be travelling through below. Provides quick and easy conversions. Is your device memory getting full? Try some of these tips. Delete apps not used in the last year. If you have previously purchased them, they will be kept in the store on your account and can always be restored again if needed. Remember to transfer any documents or files from these apps to your computer before you delete. Move photos off your device. Use a Wi-Fi transfer app such as Simple Transfer Pro for iOS or Wi-Fi File Transfer for Android to drag and drop from your device to your computer. Do you have apps that are space hoggers? Some of the Twitter clients and Google+ can store outdated data no longer needed. Simply delete the app then re-install to free up some space. Recent additions include gold foil text and expansion to 48 designer styles. Word Swag is available for both iOS and Android and is the last image and text app listed in the A-Z challenge. If you have not heard of WolframAlpha visit the website to view the power of this computational knowledge engine. Wolfram Alpha presents answers not links to websites. Dates and times, words and linguistics, engineering, places and geography, advanced mathematical computations, musical notation, food and nutrition are just a few of the areas to explore. Want to know an age at death? Enter birthdate to death date e.g 15 April 1909 to 29 September 2003. Want to know a code, a comparison of sizes or places or populations, this app will entertain and inform you accurately drawing from the knowledge stored in thousands of databases. This app and all the more specialised apps from WolframAlpha are listed on the products page. Next up X – eXtra, extras! Devices and apps with built-in speech recognition software enable transcription of voice to text. This is often an underused function available in a wide range of apps. Speech recognition software works best when words are enunciated clearly. If at first one’s voice is not recognised, slow down speech and practise using speech recognition in a quiet environment. On iOS anytime the keyboard is activated look for the microphone symbol, located next to the Space bar. Tap the microphone to begin speaking and watch your words transformed into text. On Android the microphone symbol is located at the top of the keyboard. This is a boon for those who have difficulty using keyboards accurately or need to quickly take a note on a phone. Speech recognition is available in browsers like Safari and Chrome, calendars, email and note apps. Some apps covered in this A-Z series that have speech recognition are: Adobe Slate, Chrome, Google Docs, Gmail, Google maps, Google Keep and Notegraphy. Depending on your device and the latest software update of your system and your apps, look for the microphone and test to see if your favourite app can use speech recognition. Voice recording is a quick way to capture thoughts, music, sounds and interviews. Apps with voice recording incorporate a playback mode. Some apps covered in this A-Z series that incorporate voice recording software are: Adobe Voice, Book Creator, Evernote, Explain Everything, and Hangouts. A dedicated voice recorder app is useful and both the App store and Google play have a wide range of choices. On my iPad I currently have AudioNote and on my Android phone, SmartVoice. Now that Evernote incorporates voice recordings I am more likely to use that for spoken memos and one of the voice recording apps for longer interviews for family history purposes. Many mobile devices incorporate the option for having text on screen read aloud. On Android head to Settings> Accessibility>TalkBack and switch to On. Follow the onscreen instructions. If you wish to change the speed of the text read, go to Settings> Language and input> Text-to-speech output. On iOS go to Settings> General> Accessibility to switch on VoiceOver. Have you been making the most of the voice capabilities of your mobile device? Time to rest from loading apps and check that all are up to date. Visit the App Store or Google Play to keep your apps up to date in order to benefit from ongoing improvements. Some developers update their apps regularly to take advantage of new software or to rid their apps of bugs. One is well advised to keep up to date to get the best performance from apps. If you find an app regularly crashes, it may be that it has not been updated to match the latest software. Sometimes deleting an unresponsive app then re-installing it will fix the problem. It is equally important to upgrade software on your devices. Upgrades enhance performance and will only be installed if your device is able to support the latest version of its operating system. The version currently installed on your device can be viewed in the Settings app. On iOS devices Settings> General> Software Update. On Android Settings> About> System updates. Mobile devices have a short shelf life with new hardware released regularly by manufacturers, usually in the northern summer. Eventually, your device becomes obsolete and apps no longer function. At the 3 to 4 year mark I would expect to have to upgrade my devices to newer models. One expects that newer devices will have improved processors, more storage space and better overall performance. A needs assessment, price considerations and wide reading of reviews will assist in sensible decision making. Listen to your favourite radio stations from around the world. The free app provides streaming radio from over 100 000 stations. Choose by genre and/or locality. I live in area where radio reception can be poor for nationwide stations. With this app I can keep up to date with the latest news or have background music playing wherever I am. I do not choose to use subscription services for music. Pair your device with a Bluetooth speaker to get the best use from this app. Be inspired by remarkable minds from a wide range of fields; education, medicine, technology, business, music and many other fields of endeavour. Listen to their unique ideas presented in less than twenty-minute video presentations. Build a playlist of your favourites to watch later or choose from the courageous, funny, informative, or beautiful for inspiration. These talks from some of the world’s great thinkers and achievers provide positive experiences for all. Import a picture, type some text then use your finger to draw the text onto the picture. Choose from a wide range of fonts, colours and effects and vary spacing, outline and shadow effects. Set the photo to transparent or remove altogether to be left only with text drawing. Easy typography art or use to create watermarks on your pictures.